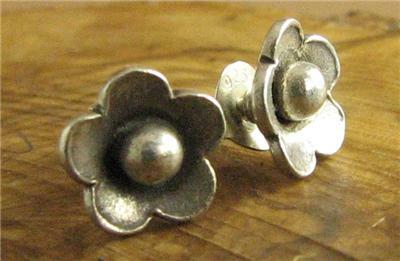 Home › Earrings › Fine silver, tiny flower earrings. 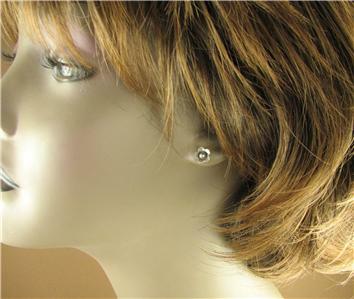 Studs. 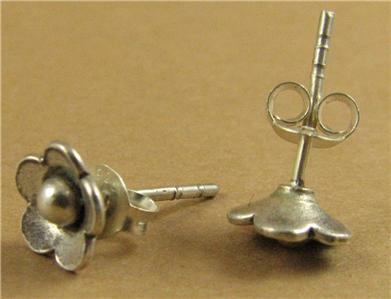 Sterling silver butterflies. 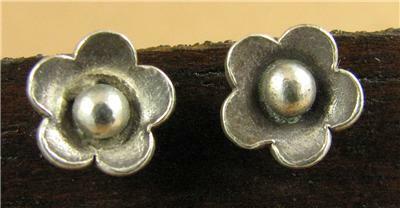 Fine silver, tiny flower earrings. Studs. 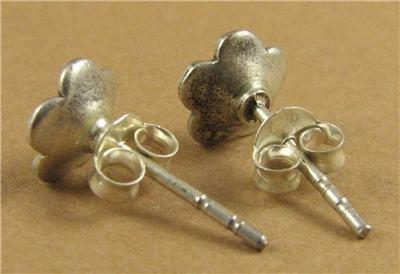 Sterling silver butterflies. 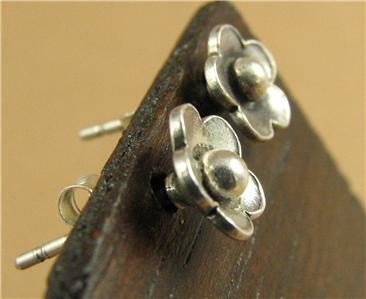 This is a lovely pair of tiny flower-shaped stud earrings. 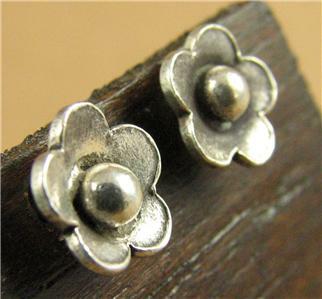 The flower studs are extremely pure solid fine silver. 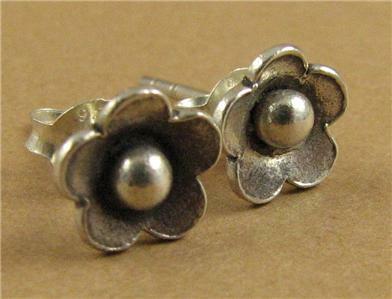 The butterflies are sterling silver. 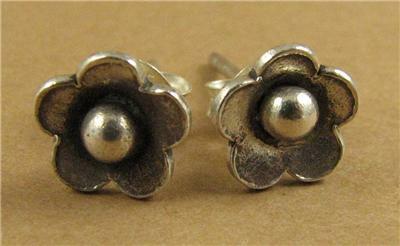 The flowers are 7 mm across.